Northeastern PA is unlike any area in the country, and we are proud of that fact. NEPA exists in its own little bubble apart from the rest of the world, protected by hilariously clever police officers and sassy Italian grandmothers. You rarely have to wonder if someone is from NEPA, because we will remind you every chance we get (and probably reference The Office in the same breath), but here are some dead giveaways. One thing we have in NEPA is an abundance of great restaurants and local edible delicacies. 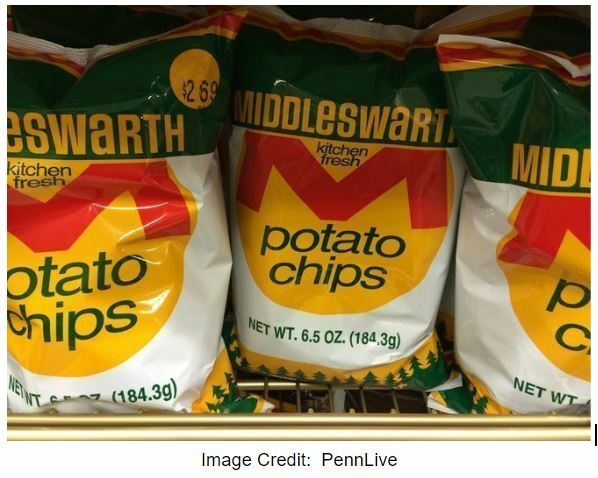 Middleswarth potato chips, Gertrude Hawk chocolate, and an incredible selection of pizza (but we’ll get there later). Our summer schedules are driven by our love of the food of our ancestors, with a festival every week celebrating Polish and Italian food. In fact, you will wait for over two hours in line for a potato pancake, but it will be the best potato pancake you’ve ever had. We cling to our foods as if they are a part of our identity, and that’s because they are. You can even get the t-shirt to prove it. In NEPA, the first day of hunting season is our favorite holiday. Seriously, most schools are out of session on this prestigious day so kids can participate in the sport. For a lot of families, this is a major bonding activity, a tradition passed down through generations. Camo is the uniform of the season; you can’t look left or right without seeing someone donning Realtree apparel (unless they’re in the woods, then you won’t see them at all). Even though our towns have a church on every block, the pizza parlor is our real place of worship. While there is unlikely a bad tray of pizza in the entire area, Old Forge is where the real magic happens. Old Forge pizza is rectangular-style, has a crunchy crust but a chewy center, and comes in both “red” and “white.” In case you noticed, I called it a “tray” and not a “pie,” and if you refer to it as the latter, you will be immediately outed as an outsider. While everyone has their favorite “cut” (not slice), there is no pizza within our borders that a true NEPA-ian would turn down. One of the biggest things that irks me is how NEPA residents always complain there’s nothing to do. In fact, there is an abundance of things to do in the Wilkes-Barre and Scranton areas, from concerts at Montage Mountain in the summer to corn mazes in the fall, from the Christmas lights at Nay Aug Park to the Cherry Blossom Festival in the spring. Regardless, every other conversation in NEPA is about “getting out of this small town.” But, you know what? Those who leave often come back, and those who stay live the rest of their life surrounded by loving family and friends, delicious food, and a place full of character that over a million people are lucky enough to call home. What’s there to complain about?